Weston’s MP has described the moment he was shouted at to ‘get back’ from the windows after shots were fired outside Parliament, less than a week after the devastating attack stunned the country. League President John Penrose MP.League President John Penrose MP. On March 22 at about 2.40pm, a man later identified by police as Khalid Masood drove a car he had hired from a depot in Birmingham over Westminster Bridge, near the Houses of Parliament, into pedestrians on the pavement along the south side of Bridge Street. It left Parliament in lockdown for hours. John Penrose and Wells MP James Heappey were both in the House of Commons at the time of the attack and have spoken out after the tragedy. Mr Penrose told the Mercury he was on his way to vote at the time of the attack and described the ‘weird’ few hours which followed. He said: “I was running a bit late, otherwise I’d have been almost next to it when the shots were fired. James Heappey speaking in parliament.James Heappey speaking in parliament. “As it was, suddenly everyone was hurrying towards me yelling ‘back, get back’ and then I saw policemen running (which never happens in Parliament – it’s usually all very ceremonial) towards the trouble. “Someone shouted there had been shots, and we were told to get away from entrances and windows. Mr Penrose said there were a host of rumours making their way round Parliament as he sat in a corridor for five hours alongside his staff, having already been moved twice. Wells MP James Heappey was keen to thank PC Keith Palmer who was killed while on duty. 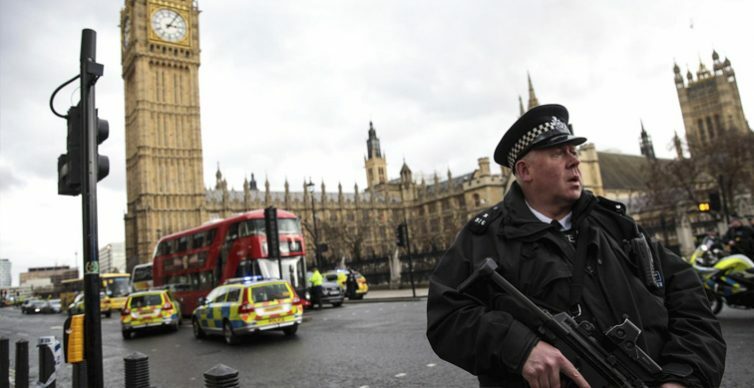 Mr Heappey said: “A policeman stood his ground to stop an attacker getting into Parliament. He lost his life doing so.